This End User License Agreement ("EULA" or "Agreement"), and as amended from time to time, constitutes a binding agreement (hereinafter referred to as the "Agreement"), between you (the "User" or "you") and Logic Simplified Pvt. Ltd (hereinafter referred to as the "Operator", "Owner", "Company" or "us" or "we"), which owns and operates the internet site http://www.gamentio.com (hereinafter referred to as the "Website", "Site"). This Agreement will affect your legal rights and we strongly recommend that you read the agreement in its entirety prior to using the Site or downloading the Software (as defined below). By clicking I AGREE ACCEPT or "CONTINUE" button, or by using the Software, you acknowledge that you have read this Agreement, understand it, and agree to be bound by its terms and conditions. You agree that this Agreement constitutes the complete and exclusive agreement between you and the Operator with respect to the subject matter hereof and that this Agreement supersedes any proposal or prior agreement, oral or written, and any other communications between you and the Operator. You further agree that this Agreement may be amended from time to time without prior notice to you and that your continued use of the Software and Service (defined below) shall constitute acceptance by you of any such amendments. If you do not agree to be bound by the terms and conditions of this Agreement then click on "CANCEL" and do not install the Software. 1.1 License Grant: Subject to the terms and conditions contained in this Agreement, the Operator grants you a personal, non-exclusive, personal, non-transferable right to install and use the Software in order to access the Operator&apos;s servers and online play games of skill (the "Games") through the Site. "Software" means the online gaming software program(s) of the Operator, including any third party software programs bundled or used in connection with the Operator&apos;s software and supplied by the Operator through the Site. "Service" means collectively the Software and the Games. individuals connecting to the Site from jurisdictions from which it is illegal to do so. It is understood that Logic Simplified Pvt. Ltd. is not able to verify the legality of the Service in each jurisdiction, therefore it is the User&apos;s responsibility to verify such matter. You will be solely liable for any damages, costs, or expenses arising out of, or in connection with, the commission by you of any Unauthorized Use. You shall notify Operator immediately upon becoming aware of the commission by any person of any Unauthorized Use and you shall provide Operator with reasonable assistance with any investigations it conducts in light of the information provided by you in this regard. The Operator reserves the right at any time to request from you evidence of age in order to ensure that you are not a minor. The Operator may at any time suspend or cancel your account and exclude you from accessing the Service if the Operator is not satisfied that you are over the legal age of majority in the jurisdiction that you are located in. to use the Software only in a manner that complies with all applicable laws, including without limitation applicable restrictions concerning copyright and other intellectual property rights, laws or regulations relating to privacy and privacy rights and laws or regulations relating to unsolicited electronic commercial messages. Any use of the Software in violation of any of the restrictions contained in this Agreement will cause immediate termination of this Agreement and any right you have to use the Software and the Service. any breach by you of your obligations under this Agreement. 2.1. Property Rights in the Software:The Software is the sole and exclusive property of the Operator and the Operator&apos;s licensors. The Operator and its licensors retain all rights with respect to the Software, including any copyright, patent and other proprietary rights, except the right to use the Software as specifically granted herein. Any copy of the Software, or any portion thereof, is specifically subject to the terms and conditions of this Agreement. The Software is licensed, not sold. Title, ownership rights, and all intellectual property rights in the Software (including without limitation the related source code and object code) shall remain exclusively with the Operator and its licensors. 2.2. Property Rights in Trademarks: The termÂ âGamentioâ, and any other trademarks, service marks or trade names used by the Operator on the Site from time to time (collectively, the "Trademarks"), are the trademarks, service marks or trade names of the Operator or its licensors, and the Operator reserves all rights to the Trademarks. Any other content on the Site, including, but not limited to, the Software, images, pictures, graphics, photographs, animations, videos, music, audio and text (the "Site Content") belongs to the Operator or its licensor and is protected by copyright or other intellectual property or other rights. 2.3. Intellectual Property Rights Generally: You hereby acknowledge that the rights granted to you under this Agreement do not grant you any rights in the Site Content, in whole or in part; and that you will not use the Site Content, in whole or in part, without prior written consent of the Operator. You acknowledge the ownership and intellectual property rights of the Operator as set out in Para 2.1 and 2.2 above, and will not take any action to jeopardize, limit or interfere in any manner with the Operator&apos;s or its licensors&apos; ownership of, or rights with respect to, the Software and the Trademarks. The Software and the Trademarks are protected by copyright and other intellectual property laws. 3.1. Disclaimer: The Software is provided "AS IS" without any warranty of any kind. To the maximum extent permitted by law, the Operator disclaims any representations, warranties or conditions, express, statutory or implied, with respect to the Software. The Operator expressly disclaims all other representations, warranties or conditions, including without limitation any implied or statutory warranties or conditions of merchantability, title, non-infringement or fitness for a particular purpose. Regardless of the efforts by the Operator to provide you with service of the highest quality, safety and security, the Operator does not warrant that the Software will meet your requirements or that it will function uninterrupted, error free or that defect will be corrected. You assume the entire risk as to the operation, results and performance of the Software or that the Software will be free from viruses or bugs. The Operator shall have no obligation to remedy any non-conformance or defect in the Software. any incidental, indirect, consequential or special damages; even if the Operator has been advised of the possibility of such liability or damages. 3.3. Suspension; Discontinuance of Service: The Operator reserves the right to suspend, discontinue, modify, or add to the Service in its absolute discretion with immediate effect and without obligation to provide you with notice and the Operator shall not be liable in any way whatsoever for any loss suffered as a consequence of any decision made by the Operator in this regard. you are solely responsible for the telecommunications networks and Internet access services required to access and use the Service, and Operator shall have no liability whatsoever for any deficiencies therein. you are the true and lawful owner of the monies that you deposit at the gamentio and/or that you are duly and properly authorized to utilize such monies for the aforementioned purposes. 5.1. Collusion: You agree not to collude with other users of the Service by sharing hole cards or by any other method. The Operator reserves the right to restrict the User in any manner from using the Service including, but not limited to, restricting seating and/or prohibiting Users from playing at a particular game or in a tournament, including restricting two or more Users from playing together at the same table or in the same tournament. In the event the Operator determines that the User is colluding with other users of the Service in any manner, the Operator shall have the right to immediately terminate the User&apos;s use of the Software and Service and terminate the User&apos;s account without refunding to the User any money that may be held by the Operator in the account of the User at the time of such termination. 5.2. Other Software Programs: The User shall not use any software programs which are designed to provide the User with assistance in accessing, compiling or calculating information on other users of the Service. In this regard, Operator prohibits those External Player Assistance Programs ("EPA Programs") which are designed to provide an "Unfair Advantage" to players. "EPA Programs" means computer software, other than the Software, and non-software-based databases or profiles such as websites and subscription services. "Unfair Advantage" means any instance in which a User accesses or compiles information on other player or players beyond that which the User has personally observed through the Users own game play. The User further agrees not to use any robot software programs (or any other artificial intelligence software programs) designed to play the Games on the Site. The User hereby grants to the Operator the right to take any steps necessary to detect and prevent the use of EPA Programs prohibited under this Agreement. In the event that the User is found to have breached the provisions of this Para, the Operator shall have the right to immediately terminate the User&apos;s use of the Software and Service and terminate the User&apos;s account without refunding to the User any money that may be held by the Operator in the account at the time of such termination. 5.3. Unauthorized Money Transfers: The User agrees that it will not lose a hand with the intention to transfer the User&apos;s Coins to another user of the Service. In the event the User breaches this Para, the Operator may, acting in its sole discretion, terminate the User&apos;s account without refunding to the User any money or moneyâs worth that may be held by the Operator in the account of the User at the time of such termination. disclose the identity of the User and the fraudulent activity alleged to be committed by the User to the relevant financial institutions and law enforcement agencies. 5.5 Personal Use: The User may only have one account with the Operator and shall only use the Service using such single account. Moreover, the User shall not permit another person to use the Service via his or her account. 5.6 Offensive language or Content: You hereby agree that you shall not post any unlawful, obscene, libelous, defamatory, threatening, or other materials that would violate any law or generally be considered offensive via the Service using the chat option, player image option, or in any correspondence with the Operator&apos;s staff. When using the chat option offered to Users via the Service, Users are prohibited from making any statements which promote any service or product of any party except the Operator. Further, User shall not make statements about the Operator or the Service that are untrue or would reasonably be considered to be derogatory or critical. 6.1. Terms and Terminations: This Agreement is effective until terminated. This Agreement will automatically terminate if you fail to comply with any term hereof. No prior notice from the Operator shall be required to effect such termination. You may terminate this Agreement at any time by destroying the Software and all copies in your possession and providing notice of termination in writing to the Operator by email to support@gamentio.com. This Agreement and your obligations hereunder will remain in full force and effect until such time as you provide the Operator with your notice of termination in writing. destroy all Software including all copies and portions thereof. In no event may the Software or any portion thereof, be used by you for any purpose whatsoever following termination of this Agreement. In the event of the termination of this Agreement for any reason, the provisions of those Paras hereof which are reasonably intended to survive termination of this Agreement shall survive such termination and continue to be valid and binding. 7. SECURITY AND YOUR ACCOUNT. Each User account shall be accessible through the use of a combination of a unique User ID ("User ID"), a unique and secret password ("Password"), and other optional numeric authentication methods that the User may select (collectively, the "Login Credentials"). The User is obligated to choose his/her own User ID and Password in accordance with the rules relating thereto. The User agrees that he/she is solely responsible for all use of the Service under his/her Login Credentials and that he/she shall not disclose the Login Credentials to any other person whatsoever. The User is obligated to keep his/her Login Credential secret and confidential at all times and to use best efforts to protect their use and any liability relating thereto shall be the responsibility of the User. Deposit held in your Operator account does not accrue interest. You will not be able to place any bets or buy-ins, or carry out any other transaction with us through the Service, in an amount greater than the total amount of money in your Operator account. You are fully responsible for paying all amounts due to Operator. You agree not to make any chargebacks and/or deny or reverse any payment made by you in respect of the Service. You will reimburse Operator for any chargebacks, denial, or reversal of payments you make and any loss suffered by Operator as a consequence. You hereby authorize the Operator, and the Operator reserves the right, to run credit and/or identity checks on you with third-party credit reference agencies or services using the information provided to the Operator by you upon registration for the Service. The third-party credit reference agencies may retain a record of and use the information subject to applicable data retention and privacy laws. Notwithstanding, the Operator will not be liable in any way to you or any other party for any use, recording or dissemination of your information by a third-party credit reference agency. Operator reserves the right to use third-party electronic payment processors and/or financial institutions to process payments made by and to you in connection with your use of the Service. You acknowledge and agree that monies deposited by you in your Operator account are held by us on your behalf subject to the terms and conditions of this Agreement, the games rules and terms and conditions as well as the other rules, policies and terms and conditions relating to the Games and promotions available on the Site as posted on the Site from time to time. 8.1. Severability: If any provision in this Agreement should be held illegal or unenforceable by a court having jurisdiction, such provision shall be modified to the extent necessary to render it enforceable without losing its intent, or severed from this Agreement if no such modification is possible, and all other provisions of this Agreement shall remain in full force and effect. 8.2. Modification and Waiver: This Agreement may be amended only by a written instrument signed by a duly authorized representative of the Operator. A waiver or grant of extension by the Operator with respect to any term or condition of this Agreement, or any breach thereof by the User, shall not constitute a waiver or operate as a grant of extension with respect to any subsequent event or breach by the User nor constitute a waiver or operate as a grant of extension by the Operator with respect to any other term, condition or breach. 8.3. Governing Law andÂ Jurisdiction: This Agreement shall in all respects be governed, interpreted by, and construed in accordance with the Laws of India. All disputes, differences, complaints etc., shall be subject to Arbitration under the Indian Arbitration and Conciliation Act, 1996. The arbitrator will be appointed by the company. The place of arbitration shall be Dehradun, Uttrakhand, India. In case when at the time of a dispute, there is no Arbitrator appointed by the company for whatever reason, such dispute shall be subject to jurisdiction of Courts in Dehradun, Uttrakhand only. There could be instances where the company is not able to receive prompt updates about the change in applicable laws of your place of stay. Please ensure that any activities you engage on the Website are legal as per the applicable laws. You agree to indemnify and hold harmless the company or its website from any claim, demand, damage, or loss whatsoever coming out due to your non-compliance with the laws of your jurisdiction. 8.4. Dispute Resolution: In the event of a dispute between the User and the Operator, the User agrees to accept the historical data of each Game as recorded by the Operator on its servers. In the event of an inconsistency between the historical data recorded by the Operator and the data displayed on your computer, the Operator&apos;s historical data shall prevail. The User accepts that any "replay" features provided by the Software shall not be considered as an official historical record of any Game played. 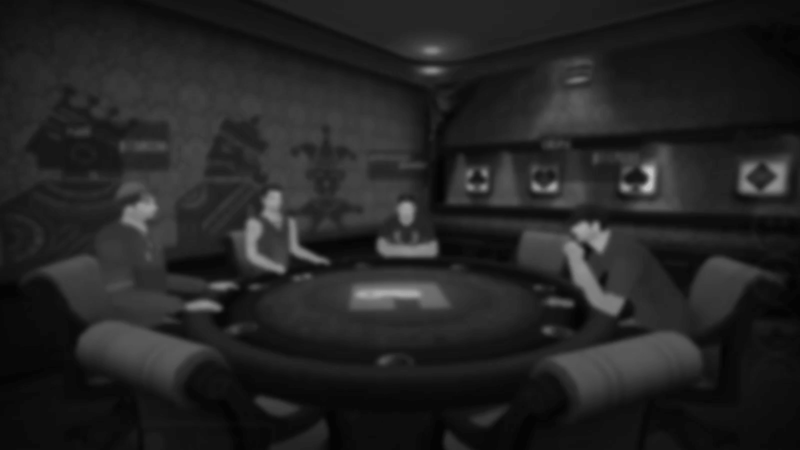 If you have any dispute with regard to any outcome in the Games or other activity relating to this Agreement you must submit your complaint to the Operator in writing within 3 days of the incident by e-mail to support@gamentio.com where we will endeavor to resolve the matter. Nothing in this clause shall limit the right of Logic Simplified Pvt. Ltd.Â to take proceedings against you in any other court of competent jurisdiction, nor shall the taking of proceedings in any one or more jurisdictions preclude the taking of proceedings in any other jurisdictions, whether concurrently or not, to the extent permitted by the law of such other jurisdiction. 8.5. Non-Assignment: This Agreement may be assigned by the Operator to any party without the consent of the User. The User shall not assign this agreement to any other party. 8.6. Relationship of the Parties: Nothing in this Agreement shall create or be deemed to create a partnership, agency, trust arrangement, fiduciary relationship or joint venture between you and us. 8.7. Entire Agreement: This Agreement constitutes the entire understanding and agreement between you and us regarding the Software and Service and supersedes any prior agreement, understanding, or arrangement between you and us. 8.8. Authority: Operator retains authority over the issuing, maintenance and closing of User accounts. The decision of Operator&apos;s management as regards any aspect of a User&apos;s account and use of the Service is final.